Batman‘s got a long and complicated history with Two-Face. When Two-Face was simply Harvey Dent, he was Gotham’s top prosecutor and one of Batman’s most loyal allies. Now, there’s no telling which way Two-Face will turn, when his every decision is made by the toss of a coin. But if the Dark Knight is going to save Gotham City, he’ll have to trust one of his most dangerous foes. With Two-Face, it’s not a question of whether he’ll double cross our hero, it’s when. 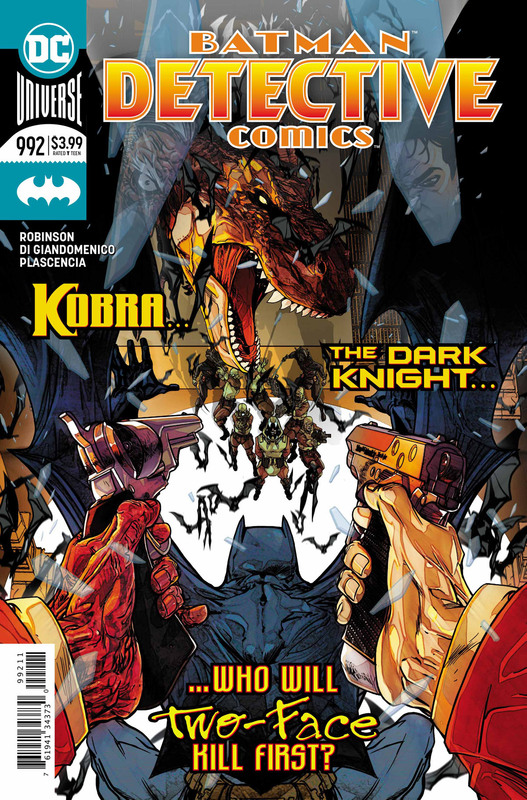 Writer James Robinson and artist Carmine Di Giandomenico have reached the penultimate chapter of “Deface the Face.” In Superhero Hype’s exclusive preview from Detective Comics #992, Batman fills Two-Face in on the history of Kobra, a ruthless, terrorist organization…but probably not the one you were thinking about. This version of Kobra has lost their figurehead, and they’re lashing out on a grand scale. Batman and Two-Face are on hand to save the Gotham City museum. However, there are grander plans afoot. And not even Batman’s extended family of heroes can stop them all. You can read the full exclusive preview in our gallery below. 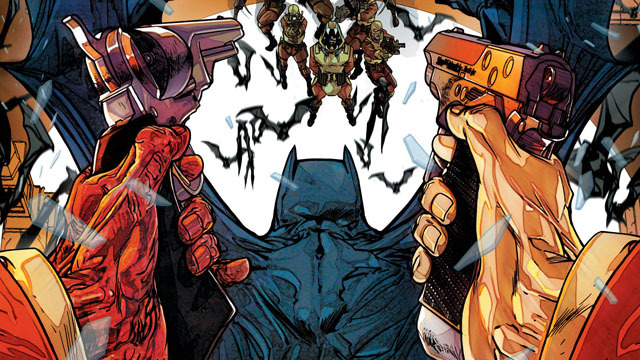 Detective Comics #992 will be released on Wednesday, November 14.